A list of most liked commercials that aired in the Super Bowl was very different that the commercials with most recall. This year, like every year, there was much anticipation for the spots that would air during the Super Bowl. A lot of talk and fanfare. And certainly a lot of money spent by the advertisers who paid over $3 million per spot. Not only do we look forward to viewing the latest collection of creativity for some of the world’s largest brands, we are also interested in seeing how the spots fared with the viewers. Nielsen always conducts research immediately after the game to test the commercials. This year two of the things they tested were likeability and recall. And that’s where it got interesting. Because the two lists were very different. In fact, the top three most liked spots did not even make the top ten list for most recalled. And even more confusing, only one spot made both lists. Surprising indeed! What does this say? I think it says we can sometimes create advertising that’s clever, cute, funny, creative and well liked but never make a connection to the brand. And when that happens what have we accomplished? This can also be true about the many creative award shows. You’ve seen it. Judges grant top honors to ads that are highly creative but upon further review communicate little or nothing about the product or the brand. They are creative competitions and beauty pageants and it’s so nice to be honored for great work. But many times these very ads that are highly decorated never progress the brand. In healthcare advertising we can make the same mistake. We can create cute, warm, emotional ads that never sell anything. Sometimes we can win awards for such creativity but we haven’t sold anything. We haven’t increased market share at all. This is not to be critical of creativity. I have written many times about the need for creativity in our healthcare advertising. Without it, we seldom get seen or heard. But creativity alone is not the answer either. 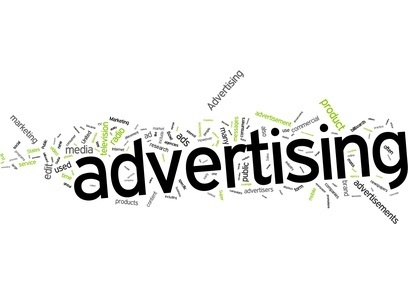 Effective advertising occurs when our creativity is used to actually sell a product or service or advance the brand. When it’s used to effectively position the brand, to build a strong relationship to the brand. When it increases market share. And that is the challenge for all of us in healthcare marketing. To create advertising that breaks through the clutter and has high notation. But what it communicates is not just creativity but the benefits of a service line or brand. It should be advertising that communicates rationally and emotionally and actually moves the needle. Yeah it’s nice to be recognized for creativity. But the real satisfaction comes when that recognition is more than an award, it’s recognition for advertising that actually works!